Some people can receive English television channels at home. Even if you can’t, there is so much material online. Many people automatically think of films and watching films can definitely help you to understand spoken English but try not to rely too heavily on subtitles. If you decide that you want to use them, try having the subtitles in English. In addition to films, many documentaries are available on a wide range of subjects and you are sure to find something about which you will want to learn. Look specifically for things which you naturally find interesting or topics on which you already have some knowledge. If you like sport, try watching or listening to a game with the commentary in English. Podcasts are good because they are generally shorter than films. If you want to hear them more than once, you can do so and if you want to repeat a section of the podcast, this is possible too. Some podcasts are made with English learners in mind and they give information about the language, vocabulary or points of grammar. automatically and you may find it easier to fit in a short podcast every day or every week, than to find time for a long film. 3. Listen to real people! These activities may require you to speak as well, but if you find some English-speaking friends or take part in activities where the common language is English, you will hear how the language is used in everyday situations. This could be a face-to-face meeting in your town, or you could arrange to talk with somebody online. If you have a general idea about what’s going on in the world, you will already be familiar with some of the news stories. This will in turn make it easier for you to focus on the new vocabulary. New material is available every day and as with documentary presenters, newsreaders generally speak more slowly and clearly than actors in fast-paced films. Whether it’s your favourite book that you’ve already read in your native language or a new book that you’ve bought or downloaded, listening to audio books will help you to develop your listening skills. 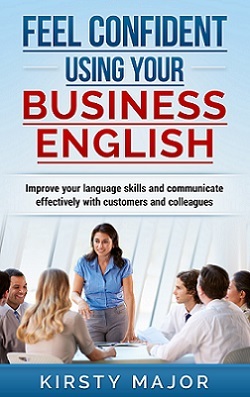 Choose a book which is interesting and appropriate to your language level. As with podcasts, audio books can be listened to anywhere and a number of online shops offer audio books to download so you don’t have to carry anything else around with you. You can listen to your book on your smartphone or MP3 player.